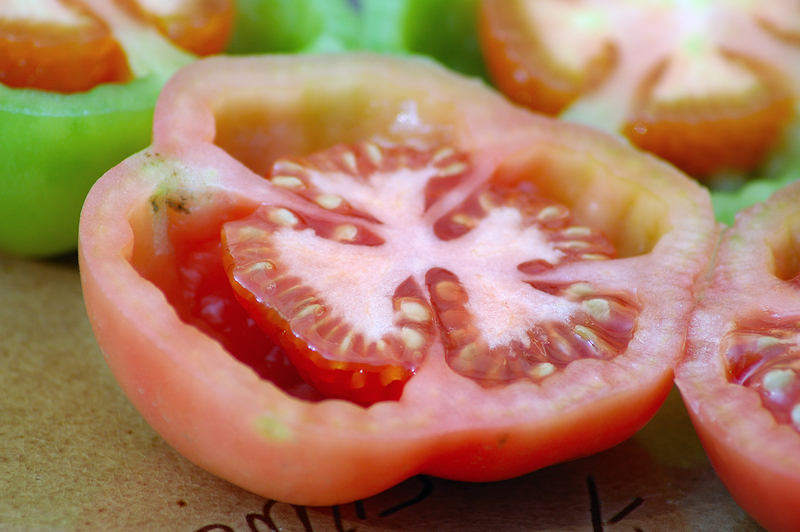 There is nothing better than a good ripe tomato recently harvested. That is a fact. Probably one of the best products to illustrate the difference between your own orchard and big markets is a tomato. I don't know what happens along the way but the one we buy at the corner shop or at the supermarket is definitely different from the ones you grow yourself or buy on location directly to the farmer. This is what happens with this ripe tomato I captured at Monistrol market. It was a product from a small personal crop. Fresh healthy tomatoes with all the good properties mother nature gave them are an essential part of world known Mediterranean diet. You just need some olive oil, some green salad, some fish or meat, some red wine accompanied by some exercise to live longer among other things like luck! tu as raison! je pense encore avec émotion aux tomates du jardin de mon père! un petit peu plus mûre à mon gout !!! merci de ton vote ! Oui plus mûre, c'est mieux. Merci à toi pour ta visite. The pictures are beautiful, nice focus!! Carlos says: Thank you my friend. I've been to Barcelona in 1993 but I still remember the tomato I ate there. Great shot! Thanks yz. Wonderful shots you make.